Beer drinkers who may think that hotter summers provide an excuse for an extra cooling tipple or two may be in for a nasty surprise. Climate change threatens to cause global prices to soar along with global temperatures, as droughts and extreme heat result in shrunken yields of barley, according to a new scientific report. It says the effect could be felt keenest in some of Europe’s most popular beer-drinking countries such as Ireland, Belgium, Poland and the Czech Republic. The report’s authors stress that the effect of climate change on alcohol pales in comparison to the life-threatening impact in parts of the world more concerned with storms, drought, and food and water supplies. But they argue that the impact on daily lives in developed countries can prompt more action to be taken. Barley is one of the main ingredients used to make beer, and about a sixth of global harvests go towards beer production. Emergency reserves are not generally stockpiled in the same way as they are with food crops such as corn, rice and wheat. The study – by scientists based in China, the US and UK and published in the journal Nature Plants – forecasts that depending on the extent to which conditions change, yields of barley may fall by between 3% and 17%. Researchers used a series of climate and economic models to predict the effect on barley crops of extreme weather produced by climate change. Similar methods have been used for many studies on staple foods such as wheat and rice, as well as wine – but not previously for beer. Under a worst-case scenario, prices would double on average and global consumption would fall by 16%, the report finds. A best-case scenario would see drinking fall by 4% and a 15% price rise. It’s thought the price of a 50-centilitre bottle in Ireland could soar to nearly $5 US (4.30€), while the Czech Republic and Poland – where beer is cheaper – would see huge relative increases. Crop yields might actually increase in temperate areas such as northern China and the United States, according to the research. But it predicts that domestic beer consumption will still fall as more barley would be exported. A global decrease in production might hit beer disproportionately as most barley is fed to livestock, which would be prioritised should there be a squeeze on supply. The scientists say that consumers in developed countries who want to avoid shortages would be wise to support policies reducing emissions of gases blamed for warming the planet. The world’s biggest brewer, Anheuser-Busch InBev (ABI.BR), said this year it will cut its greenhouse gas emissions by a quarter by 2025. The company has said it is also experimenting with developing drought-resistant barley and is working with farmers to encourage water-saving initiatives. 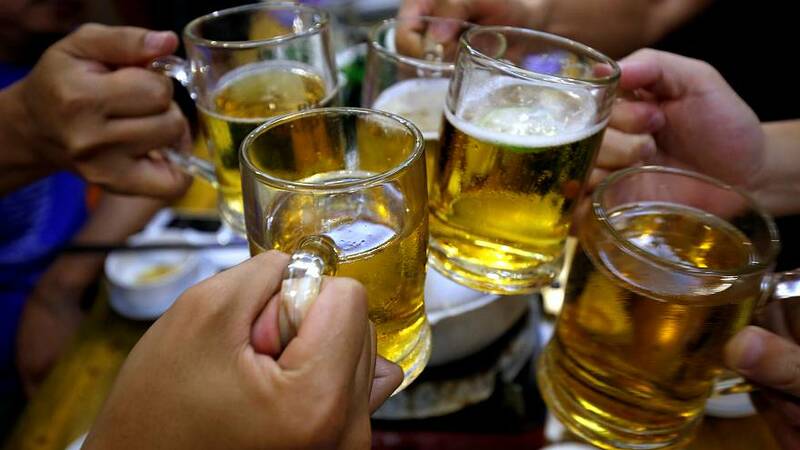 The report concludes by saying there is “something fundamental in the cross-cultural appreciation of beer”, which for “many millennia… has been an important component of social gatherings and human celebration” – even though it is relatively unimportant compared to other life-threatening impacts of climate change.